Riley Driver, a colored man, de-sires information of his son who, before the war, was called Jeff Prior. He lived in Pike county, Georgia, when last heard from, about three years ago. Also would be glad to hear from his sister. Rosana Driver, who lived in the same county. 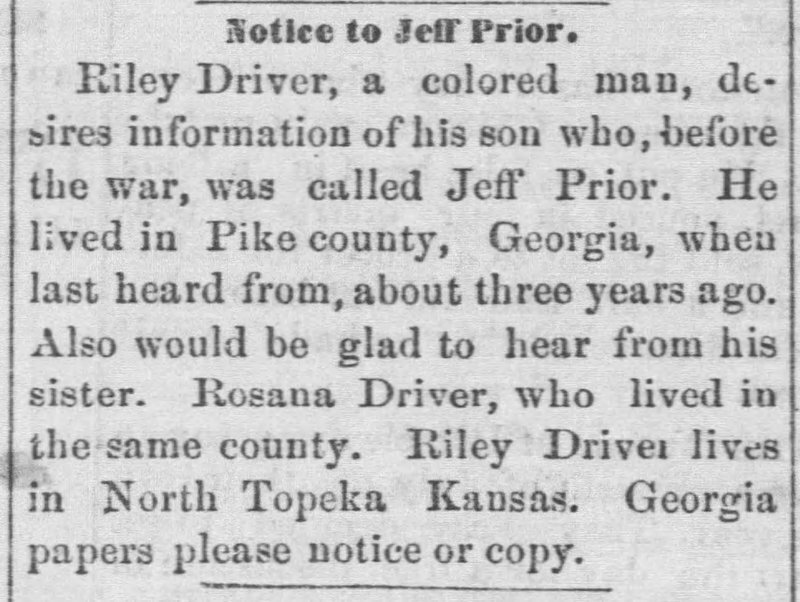 Riley Driver lives in North Topeka Kansas. Georgia papers please notice or copy.